OAP Christmas Meal at St Edmund Campion Catholic School is 20 December from 1.30 – 4.00pm. Organised by Sixth-formers for OAPs, students are offering a two-course meal with entertainment free-of-charge. Collection is from St Gerard’s Church and you’ll be dropped off at your home on the return journey. Frances Irwin has posted a sign-up sheet on the notice board with more details. Please add your name if you’d like to attend, and speak to Frances for more info. We will be celebrating the Novena with Fr Soji between 22nd Feb– 2nd March. Please see dates and times below. All are most welcome! Please click on the link below for dates and times. Happy Christmas from Father Soji and all the parishioners at St Gerard’s R.C. Church! 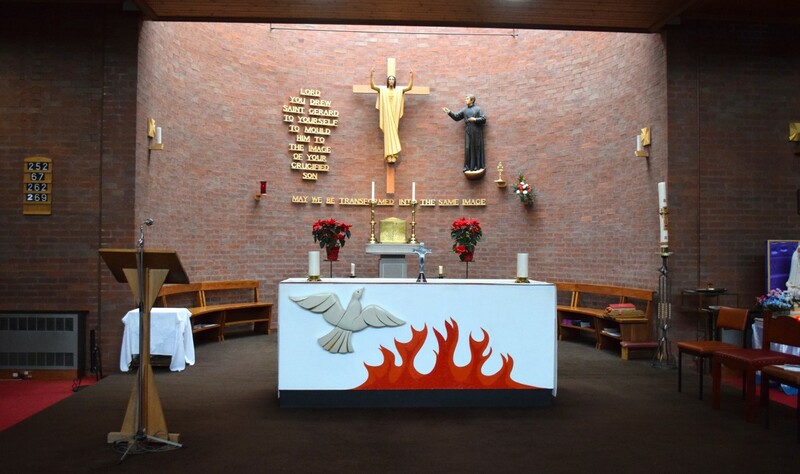 WS2 8HN on Thursday 30th June 2016 at 7 p.m.
To commemorate the 50th Anniversary of the opening of Bishop Walsh Catholic School in September 1966, the school are holding an open afternoon and garden party on Saturday 9th July from 2pm till 6pm. Our thoughts and prayers are with the family of Aggie Maher who passed away unexpectedly on 29 March. Aggie’s funeral is on 22 April at St Gerard’s Church. Requiem Mass is Friday 22 April at 10:00am, followed by burial at Sutton New Hall Cemetery.